Not every supplier can be “strategic”. Determining which suppliers to partner with on strategic initiatives is crucial to your business success. 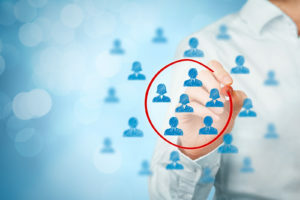 When it comes to Supplier Management and Development having a Supplier Segmentation strategy creates an understanding around which manufacturer’s hold the greatest value for you today and which can provide the greatest value and contribution to your success tomorrow. TPG’s supplier segmentation unlocks the full potential of your supplier partnerships. TPG’s Foodservice Suppler Segmentation process is based in a best practice that we developed with IFMA. It’s part of the Operator-Manufacturer Collaboration Model work that involved input from more than 20 manufacturers and chain operators. It involves a process of score-carding relationships across a series of customized criteria to rank suppliers based on value and opportunity. It includes the following components. Customizing the Relationship Support Matrix: Our model includes a list of 11 criteria used to evaluate a supplier’s value, support and potential. The first step is to review and customize this list to fit your organization’s goals and constraints. Populating the Scorecard: After the scorecard is customized we populate it for each supplier. The resulting score allows us to rank each supplier against one another. Building the Relationship Pyramid Segmentation Model: Once each supplier is score-carded the Relationship Pyramid is built which assigns each supplier to one of 4-tiers: Transactional, Preferred, Collaborative or Strategic. Organizational Implications & Planning: TPG then works with you to identify supplier management implications for your organization and assist with developing a plan for aligning your structure and resources to maximize these relationships.